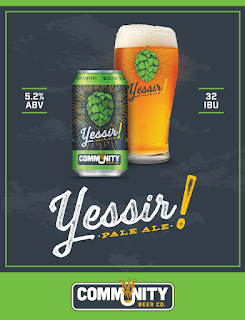 Community Beer Co. of Dallas has announced a new addition to its seasonal lineup in the form of Yessir!, a low alcohol pale ale that will join Ascension Coffee Porter in being a fall brewery offering. Yessir! (5.2% ABV, 32 IBU) is brewed with Eureka and Lemondrop hops, a combination that is said to give the beer an earthy character, with notes of tropical fruit, lemon and mint. "We are extremely excited to showcase two interesting new hop varieties in this brew, which has a unique depth of malt and a hop character not typically found in beers this low in ABV," said brewmaster Jamie Fulton. "It's positively the perfect cooler weather beer to enjoy as we say goodbye to the dog days of summer!" According to a press release, Yessir! will be available from mid-August through November on draft and in six-packs of 12-ounce cans. The beer will be sold throughout Texas in all markets that currently receive shipments of the brewery's products. 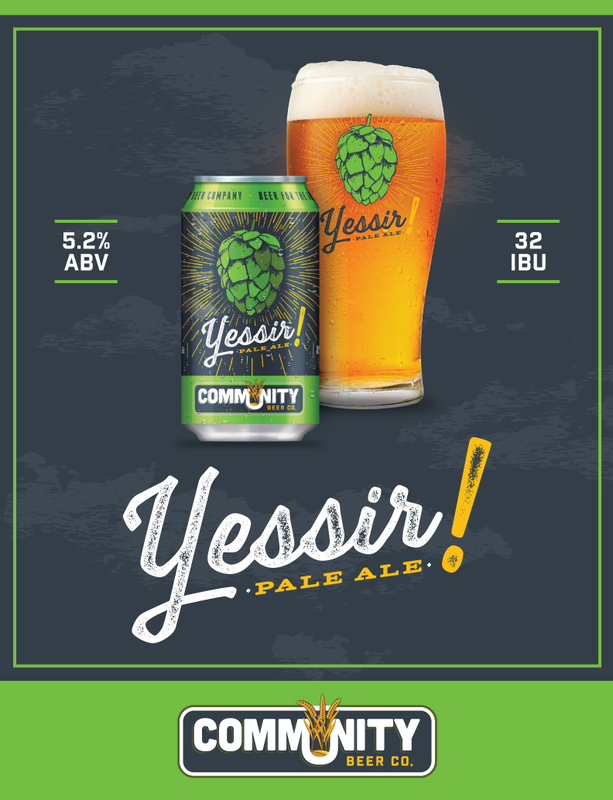 Community will also celebrate the release of Yessir! on Saturday, September 17, via a unique software-based interactive walking tour of Dallas. More details on that and other launch events will be released in late August by way of the brewery's website and social media channels.